As part of their royal tour, the Duke and the Duchess of Sussex visited Morocco from 23th to 26th February where they had the chance to discover some Moroccan traditions. 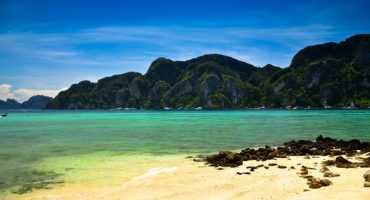 Travelling is all about discovering and living new experiences. If you plan a city break in Marrakech, here are the things we recommend for you; in and outside of the capital. Following the footsteps of the Royal Couple, let’s plan an enchanting journey to Morocco. Did you know that Marrakech is the ideal city for a mountain trip? 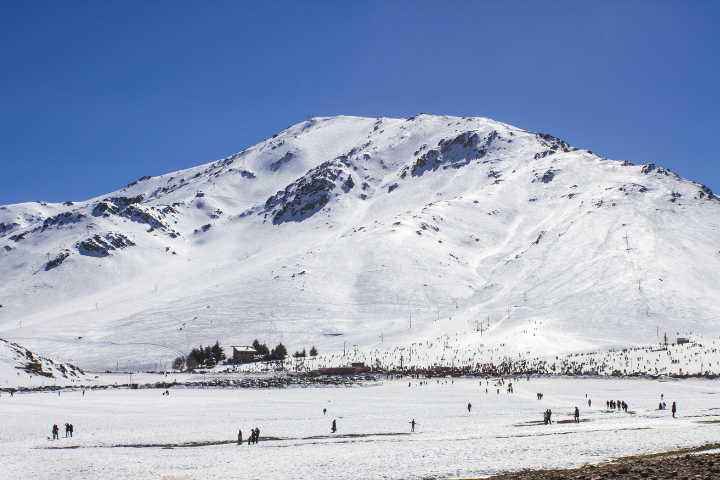 The city is surrounded by the Atlas Mountains making it ideal for hiking in summer or skiing in winter, the Atlas mountains are a versatile destination and you can say you went skiing in Morocco! 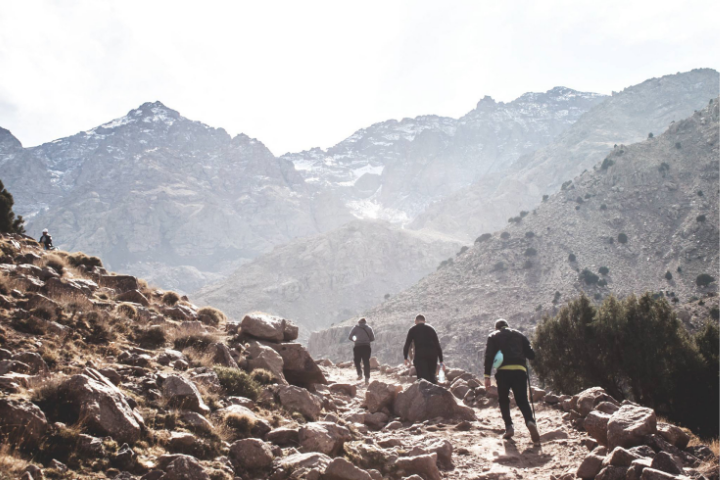 If you want to enjoy one of the greatest views from a Moroccan peak, hire a guide to climb Jbel Toubkal. The two day trip up is incredible. 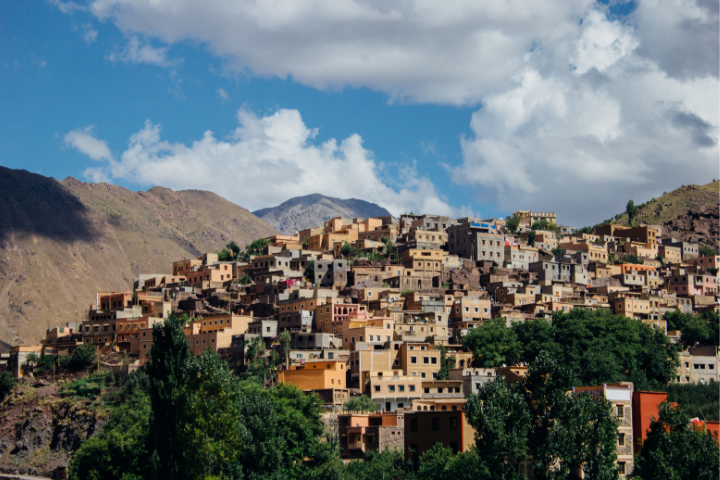 During their travel to Morocco, the royal couple went to Asni, a Berber village in the High Atlas. 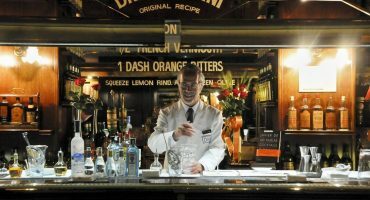 You’ll be warmly welcomed by the locals who are more than willing to share their culture and heritage. It’s also the perfect spot to visit a local market (also called souk) and taste fresh fruits and vegetables. Like the Duchess of Sussex, you can get a Henna tattoo while you’re in Morocco. Henna tattoos are temporary (they last between two to four weeks) made out of Henna plant powder mixed with water to create a paste. It can be used to colour hair, nails, skin or even beards. 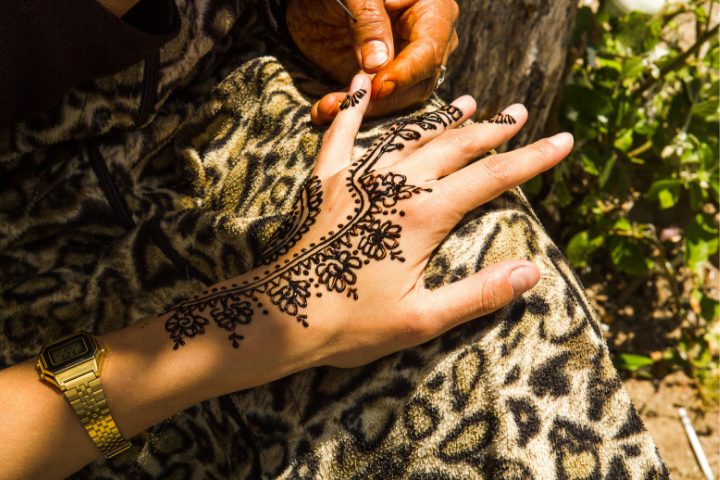 Historically, henna tattoos celebrated joyful events (weddings, births, war victories, religious feast, etc…). Moroccans attach great importance to the tattoos’ design- the most common being flowers. Where to get one? Most hotels and riads in Morocco provide this service. The Hammam is without any doubt the most traditional and relaxing experiences to be had in Morocco. 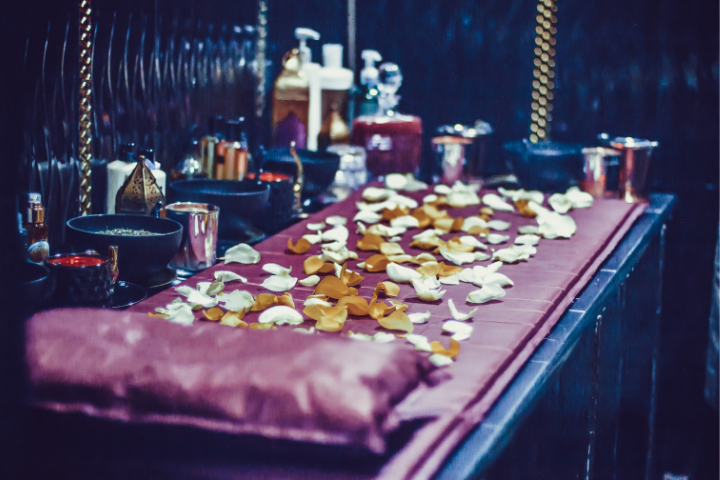 A typical Moroccan hammam treatment consists of a steam room followed by an exfoliating scrubs and a massage. Black Soap, Rhassoul, rose water or even Henna are all used to make you feel refreshed. The cherry on top? It ends with a delicious mint tea! 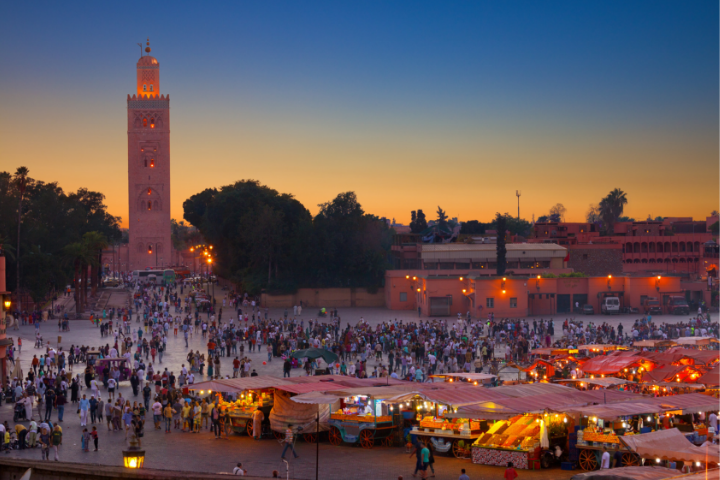 Have you thought of Marrakech for your next city break? Sun, culture, gastronomy, everything is set for you to have an amazing weekend. You can’t miss out on Marrakech’s Medina. Architecture, secret courtyards and hidden gardens are all waiting to be discovered in its ancient streets.The deeper you go in the district the more you’ll be captivated by the spices fragrance in the air and by the beauty of the local products.Through the alleys, you’ll see different Berber and Arabic influences such as ceramics or ornamental candles. But careful the Medina is a real maze, if you don’t want to get lost you can hire a guide. Do you want to feel the city vibes? There is no better place than Jemaa El-Fna! You’ll even see snakes charmers. Feeling hungry? You’ll have plenty of choices for street food! 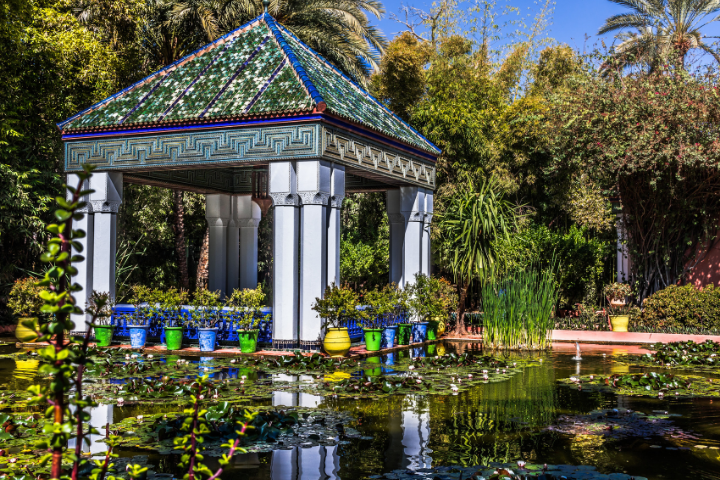 Harmony is the keyword of Majorelle Gardens (Jardins Majorelle). Created by a French painter, it is a charming and artistic retreat from the city where you can relax in beautiful surroundings. The Red City also hosts many festivals throughout the year. 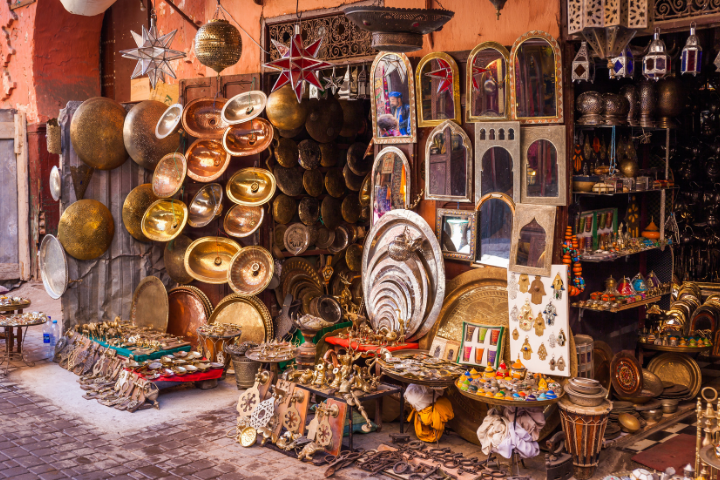 Music festivals like the Dakka Marrakchia in February or the Marrakech Popular Arts Festival at the beginning of Summer offer a chance to hear typical Moroccan percussions and sounds and to dance in the streets of Marrakesh. Couscous, Tagine, Kefta, Morocco is a gastronomic destination! What better place to have your first taste of Moroccan dishes than in the streets of Marrakech. While you’ll wander through local markets the colourful spices and their amazing perfume will thrill you. Harira: a traditional Moroccan soup. B’stilla: a special pie from Fes stuffed with meat, almonds, eggs and spices. For dessert, you’ll appreciate Moroccan honey based pastries such as Chebakia. 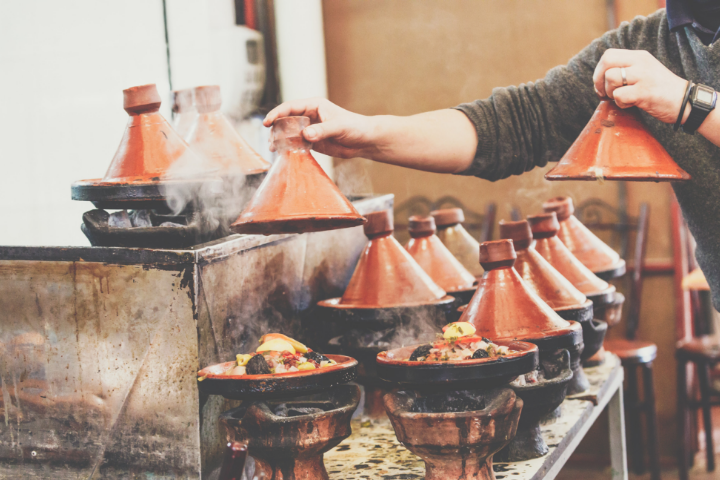 After your trip, you’ll surely be in love with Moroccan cuisine. So what about learning how to make your favourite dish? Learn how to mix the spices to cook a perfect Tagine that will impress your guests! In Marrakech, you’ll be able to book a cooking class in restaurants with famous chefs but also to learn family recipes with locals in their home. Amazing…how wonderful it would be to visit Marrakech, Morocco and see the city art and culture. I’m sure there would be a lovely welcome in Marrakech, would be great to explore the area and to meet all the friendly people and make memories to never forget. 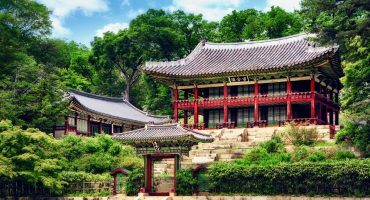 I love to visit this beautiful place. 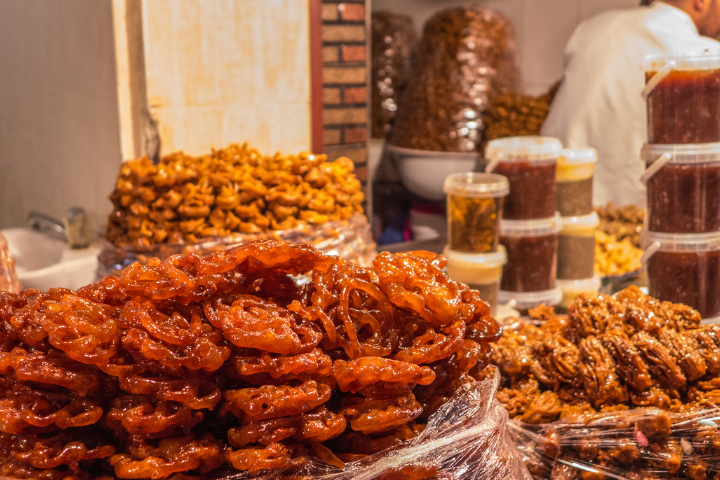 These mouthwatering food, spice and sweets..